The best things in life are free – both offline and online. As such it’s only fair that we the people can get our hands on the world’s most popular domain extension at no extra cost. So you may have noticed many domain registrars offering basement prices for modern URL extensions like .rocks and .life, with the likes of GoDaddy even pricing many .co.uk website names at just 99p. But look deeper and you’ll see that .com is a notable omission from the super-cheap pricelists out there. So why is the most common extension on the internet so elusive for those of us wanting to set up a new domain? Along with .net and .org, .com is among the earliest extensions on the internet, and its founding father status has aided its rise into the most popular domain name in circulation today. .net defined is an abbreviation of the term ‘network’ and was initially intended to encompass organisations that were involved in networking technologies, but nowadays acts as a universally functioning alternative to .com that businesses from all sectors are free to tap into. .org defined is an extension that was meant to apply for non-profit organisations, like schools and open-source projects, but today it has no restrictions placed upon its usage and is free to be picked up many webmasters. This may go some way to explaining why the 1990s saw less that one million .org websites balloon up to over 10 million by 2012. .com defined, however, is the extension that used by websites that exist for commercial purposes. So popular was the .com domain name that it spawned the ‘Dot-com Bubble’ of the late 1990s that saw businesses rushing to exploit the top-level domain during the fledgeling days of the internet. With over 115 million .com domains active worldwide, the suffixes dominance is clear to see. With an estimated share of around 42% of all websites utilising the .com name, it’s clear to see why the extension is so highly valued in digital real estate. 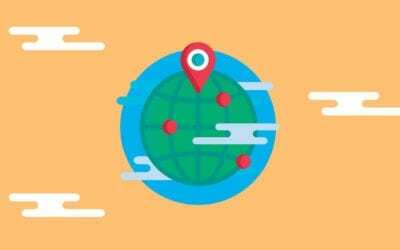 Not only has 30 years in the limelight led to .com domains becoming harder to set up, but being the most recognised extension on the internet has created a considerable amount of demand for the name. As a means of lightening the .com load, second-level domains were introduced, which create much more variety but often limit businesses by region (for example, .co.uk or .ca.gov). Again, the top-level .com counters this and maximises opportunities for online exposure. Getting hold of a .com domain for your business makes perfect sense, it’s the first extension that comes to mind among those browsing the net and maximises your visibility to communities across the world. The first thing you need to decide on is a name that’s vacant. Again, due to .coms being in existence for over 30 years, this can be a little tricky. If your company name is somewhat common, then there’s a chance that it’s already occupied somewhere. This isn’t the end of the world though, and many registrars carry a function that allows you to bid on your desired website name if it’s already owned by someone else. The cornerstone in building an online presence is to get a good host behind you. Web hosts provide all the tools that you need to get your site up and running. 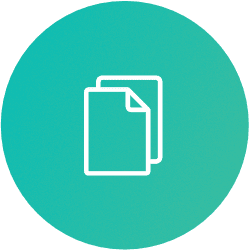 All of your pages are stored on their servers that can guarantee regular uptime and ensure that your content is laid out and formatted to the correct specifications. 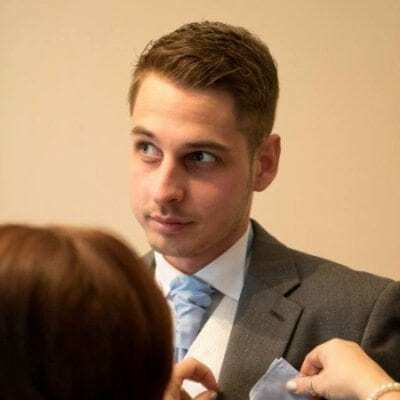 Sometimes the act of finding the right host is neglected by users that focus their intentions on grabbing the ideal domain name as swiftly as possible – which can lead to unexpected premiums or comparatively poor service. According to Medium, if you’re looking to get your hands on a .com domain, it’ll set you back by at least £8-10 per year as well as the subscription for hosting – but there are in fact two excellent registrars that include the top-level extension free-of-charge with their hosting packages. In their 15 years of service to domains across the world wide web, Bluehost have picked up a knack of delivering quality service at a fraction of the cost – and their 2 million-and-growing customer base is bound to agree. The company has over 750 employees dedicated to bringing a great, problem-free service to website owners worldwide. The hosts boast a series of ‘best-in-class’ solutions that give even the least experienced of website owners the platform to create winning content that’s sure to get noticed, while built-in scalability allows the cloud-based servers powering your website to grow alongside your traffic. Bluehost’s set of tools are also of premium quality that allows customers to build a site with supreme security, power, and speed in the form of add-ons and packages. 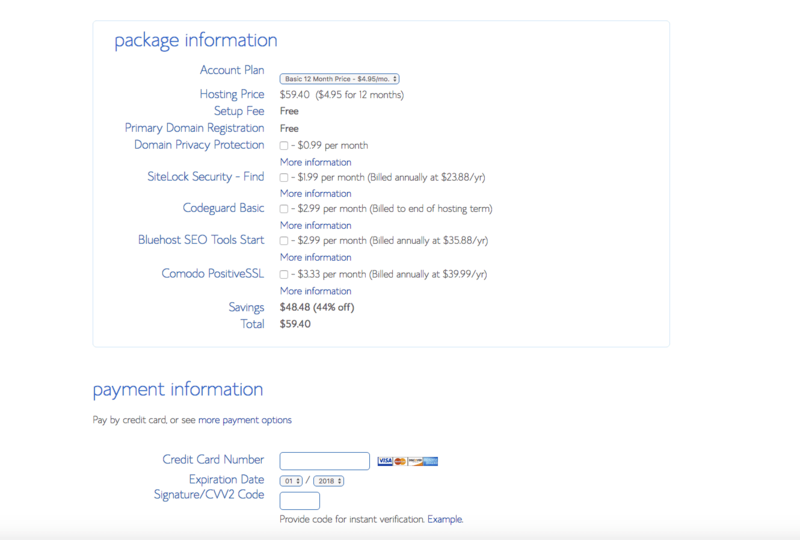 To register a free .com domain, firstly you need to select a hosting plan with Bluehost. Customers have the option of a simple shared hosting solution, but can also choose the more powerful cloud-based hosting platform as well as WordPress-optimised hosting and the fine-tuned ‘dedicated’ hosting. For the benefit of this how-to, we decided to opt for the simple shared hosting solution, which is ideal for users that are looking to get started in website ownership. 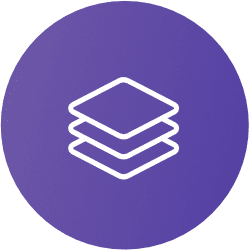 The level of shared server coverage is customisable based on the level of subscription you take out. Again, we’ve decided to make a basic shared hosting account in order to illustrate the value for money that even the most simple plan offers customers. With the basic subscription, users are able to build a website that’s limited to a sizeable 50gb of storage and unmetered bandwidth. With the package, you’re also allowed up to 25 subdomains and five company email addresses with a 100mb allowance. Plenty of room to get started with. The moment of truth comes with signing up the name of the .com domain that you desire for your website. If the name is already taken, then you’ll get an error screen that provides a series of alternative extensions and similar .com names to peruse. If you’re determined to have a precise name in a .com domain that’s already taken, consider subtly expanding your chosen name. For example, if your company name of joebloggs.com is taken, consider incorporating your business function into the title, i.e. joebloggspets.com. 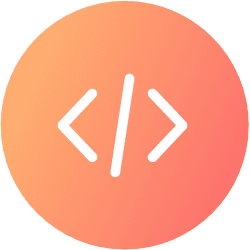 Remember that as your site grows you could find yourself in a position to make a bid for the .com name you originally wanted, so it’s wise to expand your URL with an easily droppable description or phrase for futureproofing reasons. Once you’ve found a vacant .com name, you’ll be invited to sign up for an account and will be provided with the final quote for the level of coverage that’s provided by your hosts. 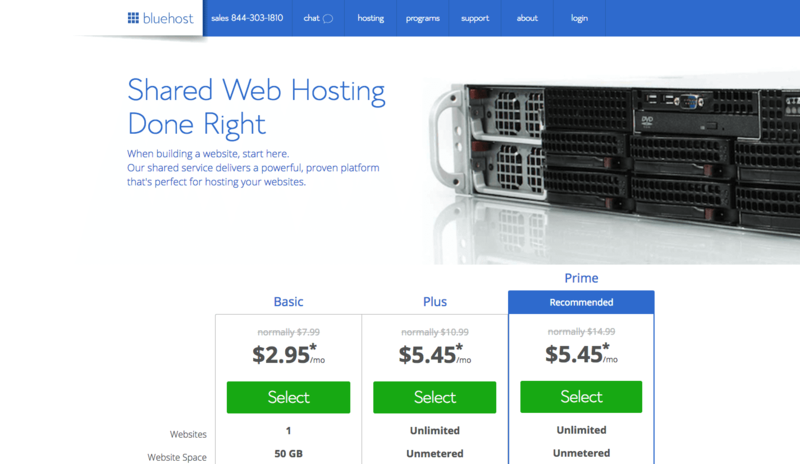 Here Bluehost offer plenty of flexibility. 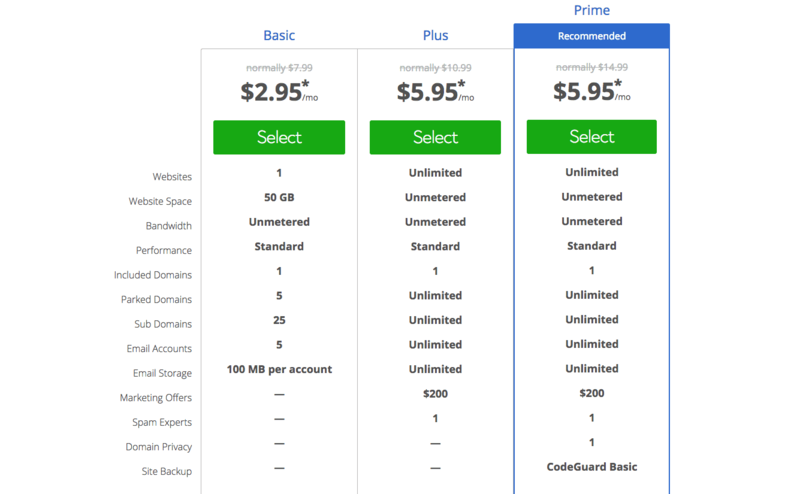 Users can choose a 12, 24, 36 or 60-month hosting subscription – as you’d expect, the longer the contract, the less the cost works out per month. Bluehost also offers some handy optional extras, like privacy protection, which keeps your ownership information secret for the domain you purchase – if someone performs a reverse lookup for your site, the owner will be listed as Bluehost. There’s also SiteLock Security, which helps keep your content protected from malware and even a premium SEO tools add-on that ensures you have the best possible chance of optimising your conversion rates. Of course, the setup fee and domain registration for your .com address are free through this method. The other great and trustworthy option for grabbing a .com domain at no extra cost is via a Kinsta hosting plan. 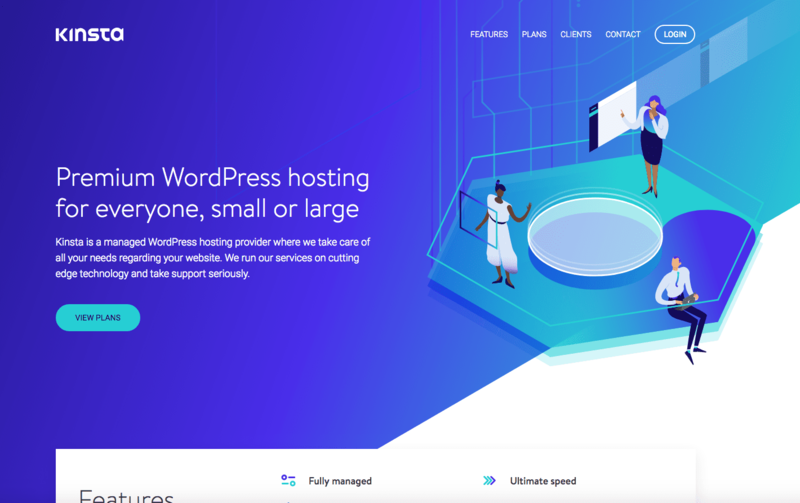 The best thing about choosing Kinsta hosting is the fact that you’re getting a service that’s optimised for WordPress-based pages. As well as a free .com domain, users can expect to be supported by a highly helpful and user-friendly host that prioritises customer comfort. With the service, you gain access to MyKinsta, a highly informative and aesthetically breathtaking dashboard that’s brimful of analytics and key features that help you manage your usage allowances and any invoices. 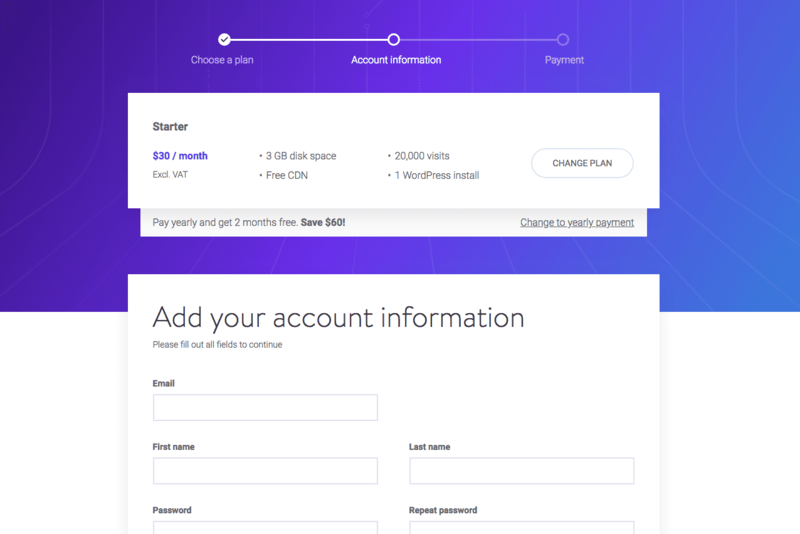 The level of subscriptions available for purchase through Kinsta are varied and purposeful, ranging from $30 per month to as much as $900 for the seriously ambitious professionals among us. 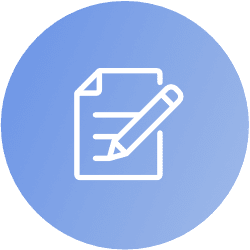 While the price ranges are notably more expensive than Bluehost, it’s important to note that Kinsta are providers of a service that’s virtually unrivalled when it comes to quality enthused in WordPress. This coupled with the free .com website that comes with each plan ensures that it’s a winning combination for our money. For the benefit of our how-to, we’ve opted to go for the website’s ‘Starter’ subscription, which is tailor suited to fledgeling webmasters that are looking to take their first steps into the wide world of online business. 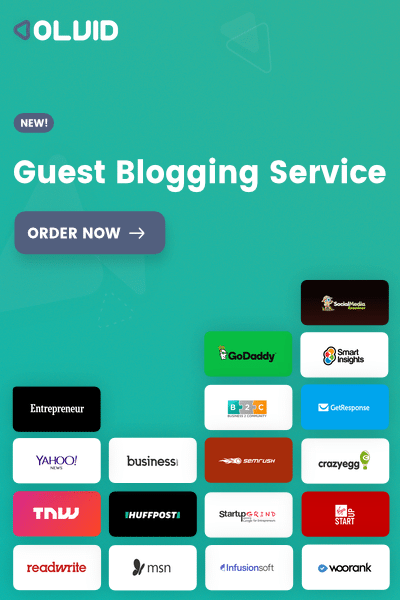 The Starter service is every bit as impressive as you’d expect for its price tag – users are allowed a WordPress installation as standard, as well as up to 20,000 monthly visits to the site catered for and a data storage limit of a handy 3gb. 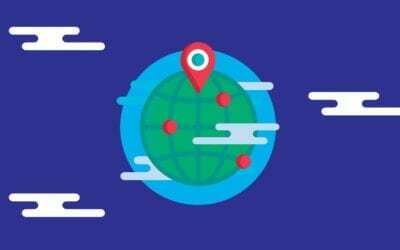 Thanks to Kinsta’s partnership with KeyCDN, all plans include a free Content Delivery Network data allowance, which in the Starter package’s case is 50gb. Backups to your site are taken daily and retained for up to two weeks. There’s also 24/7 support on offer if you get stuck and an excellent staging area for you to test out the latest plugins and features on your site before sending them live. Users are also treated to free SSL certificates as part of all packages. 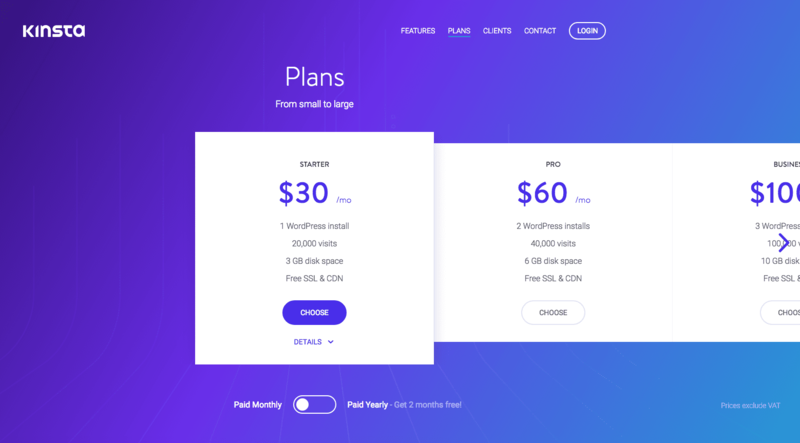 The scalability of Kinsta’s services is second-to-none, with monthly visit allowances of up to 1,500,000 able to be catered for and up to 120gb of disk space also on offer when your website’s success leads you to find yourself in the position to upgrade your hosting plan. The registration process is quick and easy, and payment plans are clearly displayed with no hidden charges or price hikes after a certain amount of usage time. 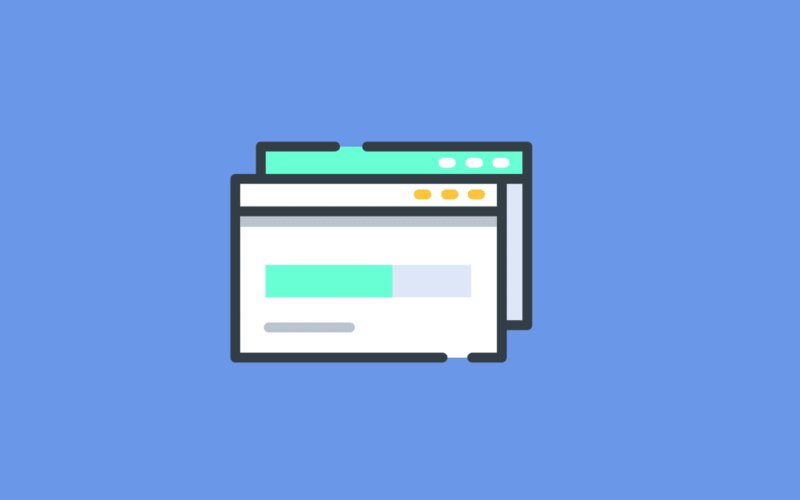 After you sign up and register your business with Kinsta, you’ll find that you’ve automatically been assigned a .com URL that’s suited to your site’s name. Assigned URLs through Kinsta typically come in a simple www. 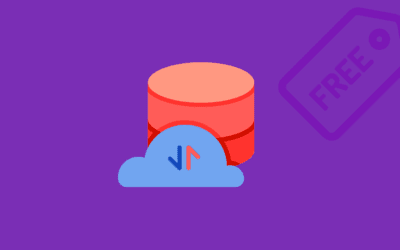 [your business name].kinsta.com format, which eliminates much of the risk of opting for a name that’s already taken and gives users plenty of room for migrating a different site name over to the hosting platform in the future. 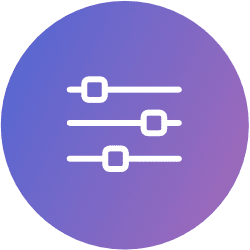 Kinsta also boasts some great optional add-ons for when your website begins to gather momentum, like Cloudflare Railgun, which is committed to bringing the fastest loading times possible for visitors and Elasticsearch – a search and analytics engine that’s capable of solving a growing number of use cases. 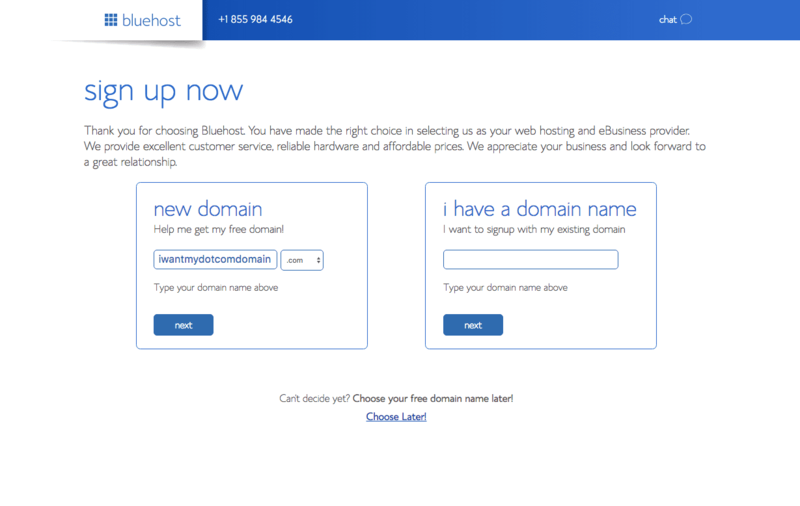 Of the two options available to users when picking a free .com name through hosting, it’s hard to look beyond the excellent value for money that Bluehost provide which promises to allow users all the time they need to learn the ropes of top-level domain ownership without hitting them in the pocket. However, if you’re ambitious about your website and its future place as a competitor in its field, then Kinsta have all the capabilities needed to grow into an online giant without the need to switch up your provider once you hit the big time.